Blizzard has created a sprawling video game empire with their Warcraft series. Numerous games in the series have been released across several genres, including the groundbreaking MMORPG World of Warcraft as well as the popular Hearthstone CCG that's currently available for mobile devices. Like all good businesses, Blizzard likes to focus on the very best for their keystone franchises, and it seems like the Warcraft family of games is about to grow with an all-new mobile-focused title. Has Blizzard Confirmed The Existence Of A Warcraft Mobile Game? As spotted on NeoGAF by user Nirolak, a recent job listing from Blizzard seeks out workers for "an unannounced project for mobile." The listing also specifically states that they're looking for an artist with "passion for creating imagery synonymous with the Warcraft IP," which leads players to assume that Blizzard's latest mobile game will be set within the Warcraft universe. Previous theories surrounding various job listings had many players believing that the upcoming mobile game could be part of the Starcraft or Overwatch universes, but this latest bit of information seems to do away with those notions. It's still possible that Blizzard may make a mobile tie-in with one of their other franchises, but for now, such concepts remain to be seen. Is There A Release Date For The Warcraft Mobile Game? There is almost no official information regarding Blizzard's alleged Warcraft mobile game — the developers themselves have yet to even formally confirm the game's existence. However, there's a chance that Warcraft and Blizzard fans can learn more at Blizzcon 2017, which is set to kick off at the Anaheim Convention Center this November. 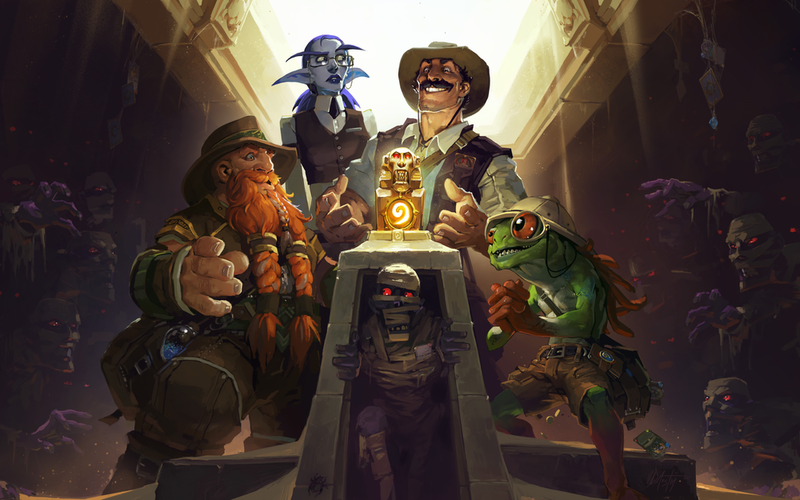 Blizzard's excellent CCG title Hearthstone isn't the only great free-to-play game on mobile devices. To discover more, check out our list of the Best Free To Play Games.